The sublime Barbara Sukowa reteams with director Margarethe von Trotta for a brilliant new biopic of the influential German - Jewish philosopher and political theorist. Arendt’s reporting on the 1961 trial of ex-Nazi Adolf Eichmann in The New Yorker—controversial both for her portrayal of Eichmannand the Jewish councils—introduced her now-famous concept of the “Banality of Evil.” Using footage from the actual Eichmann trial and weaving a narrative that spans three countries, von Trotta beautifully turns the often invisible passion for thought into immersive, dramatic cinema. 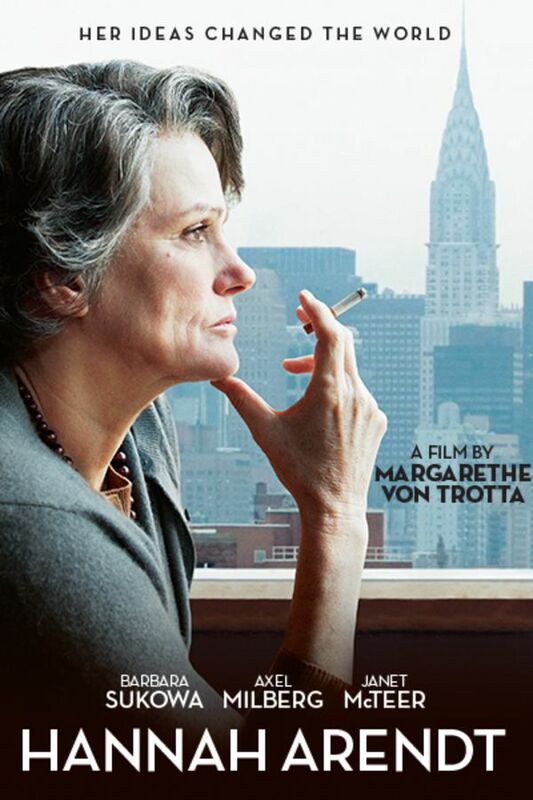 A biopic of influential German-Jewish philosopher and political theorist, Hannah Arendt. Her reporting on the trial of Adolf Eichmann in The New Yorker introduced her now-famous concept of the “Banality of Evil." Starring Barbara Sukowa as Arendt. A very smart film. Not entirely in German. Half English and half German. I think in the time of a Trump presidency and administration, it's an important film to watch. I highly recommend it.